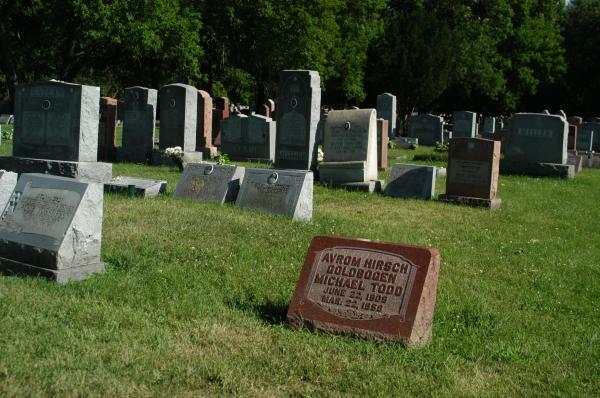 Avrom Hirsch Goldbogen(1909-1958), more commonly known as Michael Todd, was a film producer best known for the 1956 "Best Picture" winner, Around the World in Eighty Days. He was married to actress Elizabeth Taylor for just one year, until his death in 1958 in a private plane crash in New Mexico. (This grave is located in the Beth Aaron Cemetery #66. Enter via Retchitzer gate (the red brick archway in the northwest section) and go about 50 feet in).